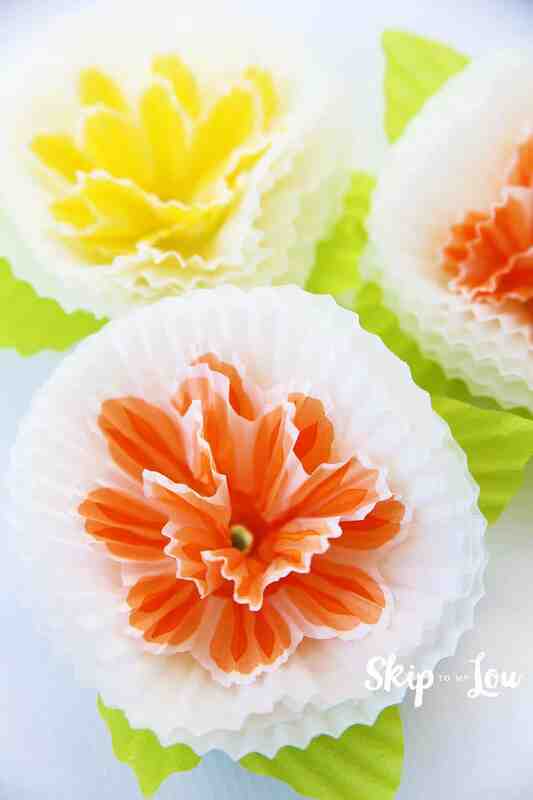 Cupcake liner flowers are a quick and easy DIY project that will brighten up your home or party. String them all together for a beautiful garland. 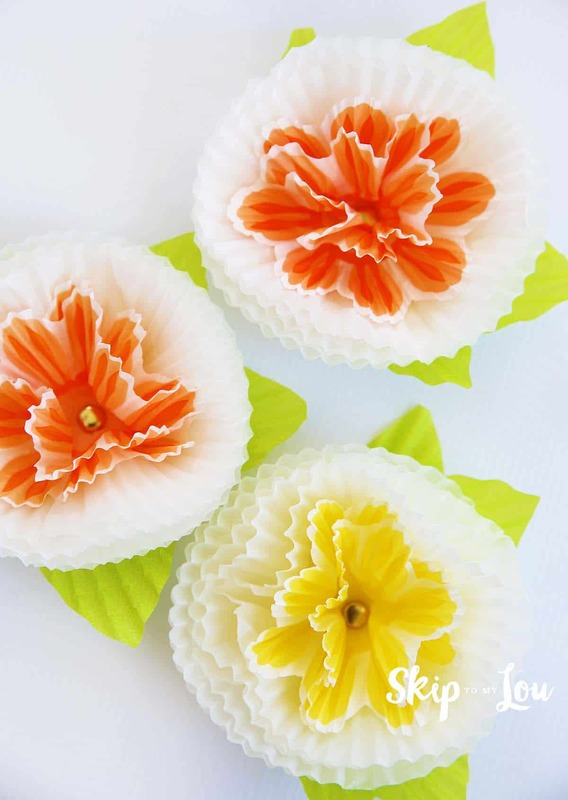 These tissue paper flowers would look would pair perfectly and make any party look festive. Here are some amazing party appetizers you can serve. 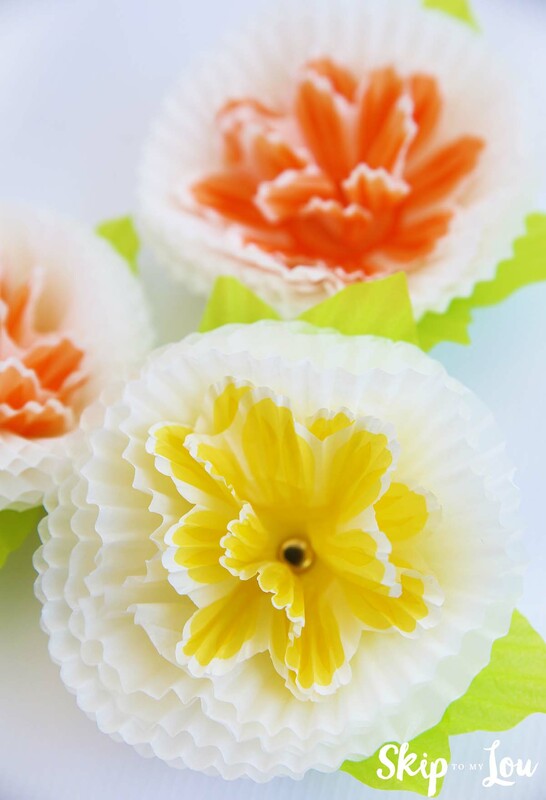 For each flower you will need six regular cupcake liners, 2-3 min cupcake liners and 1 jumbo cupcake liner. 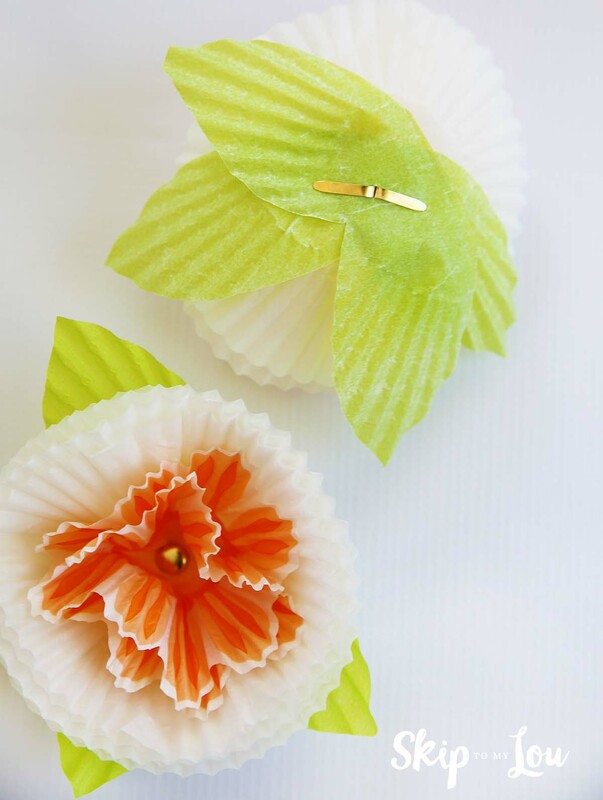 Scrunch the regular and mini cupcake liners by wadding them in your hand. Slightly flatten each. 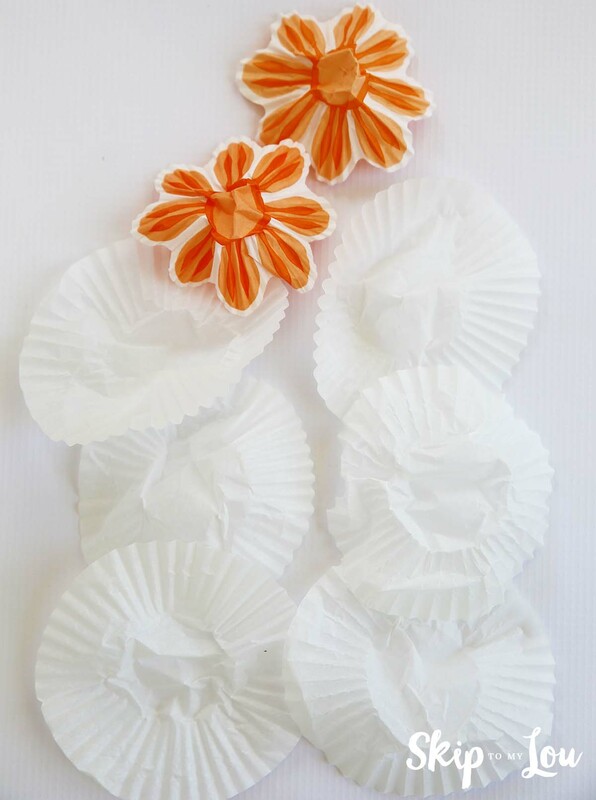 Push the brad through the mini cupcake liners first, then the regular sized liners. 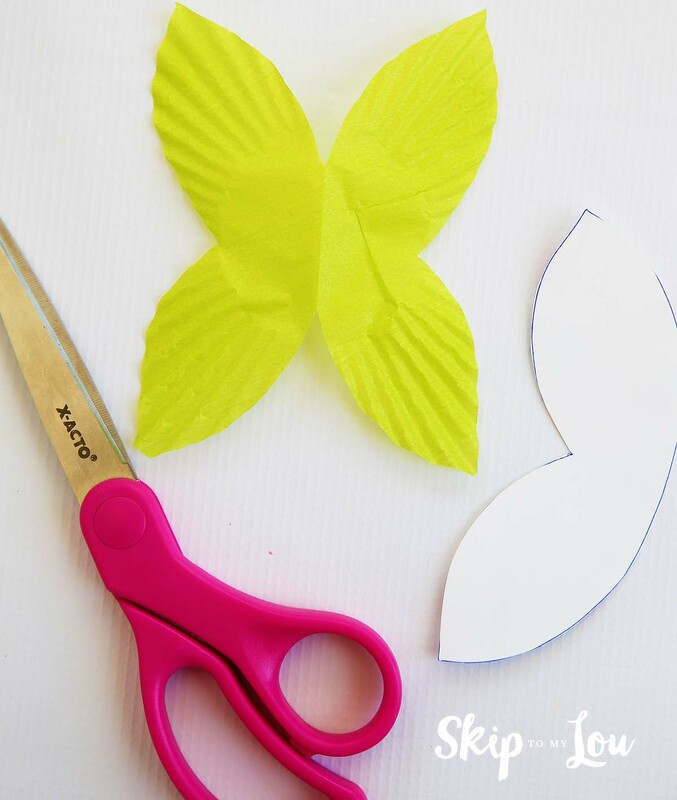 Fold the jumbo cupcake liner in half and use the template to cut a leaf shape. Keep the leaf folded or open up and cut in half. 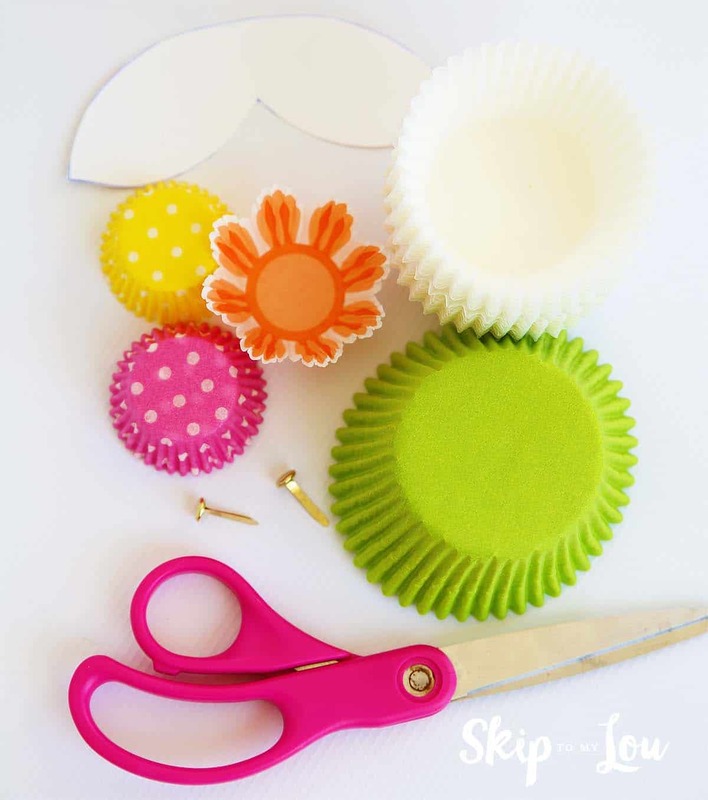 Place the leaves on the brad on top of the regular cupcake liners. I threaded all the flowers onto fishing line for a beautiful flower bunting. 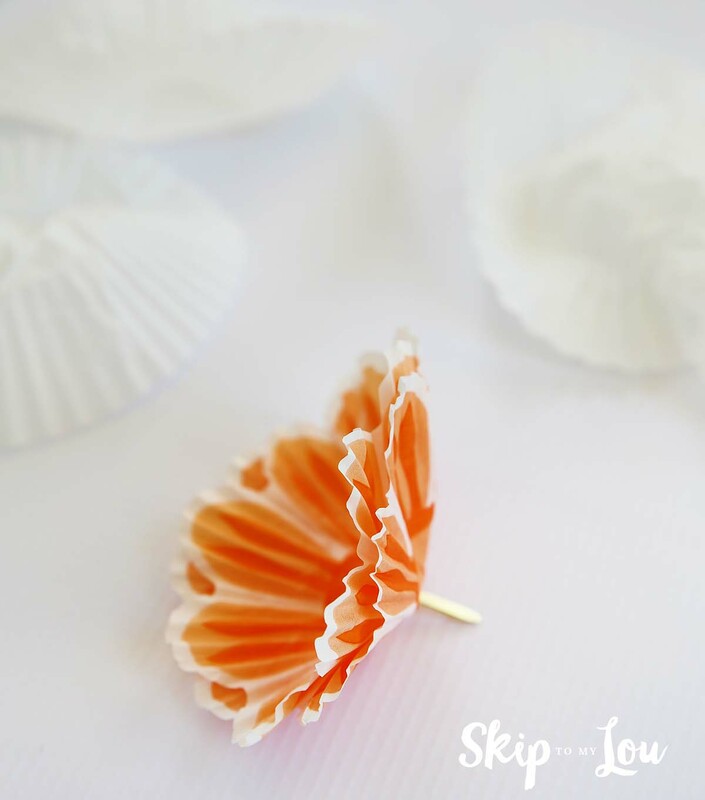 If you love all the pretty cupcake liners and have a few leftover from baking you might like these fun crafts.